August 1, 2014 | The Law Office of James P. Yudes, P.C. On July 28, 2014, the New Jersey Appellate Division approved for publication the case of R.K. v. F.K. (Docket No. A-4165-11T4), which further clarified the issue of how courts in New Jersey are to determine applications to modify existing custody and parenting time arrangements. In August, 2007 the wife obtained a temporary restraining order (TRO) against her husband, citing harassment. The parties had been married since 2001 and had three young children together. That month, the family court issued a Final Restraining Order (FRO) and gave the wife temporary custody of the children. The husband was ordered to attend anger management classes, and he was given parenting time on Wednesdays, Saturdays and Sundays. In November 2008, the court amended the FRO and gave the both the husband and wife joint legal custody of the children and granted holiday parenting time. In June, 2009, the court again modified the FRO to give the husband parenting time every other weekend and one overn ight during the week. In July, 2009 the court held a hearing as to the husband’s request to change custody. The court denied the husband’s request to change custody and allowed the wife to continue to home school the children. The husband filed a divorce complaint in 2011. He sought a 50/50 parenting time arrangement and hired the services of a forensic psychologist to perform a custody evaluation. The psychological expert concluded that the wife had “very significant psychological problems” which called into question her “emotional stability as a parent”, and he stated that those problems could have “a very negative effect on the children.” The expert concluded that the current custodial arrangement was not in the best interest of the children, and he recommended that the parties share equal parenting time and that the children not be home schooled. The court held a trial on this issue, and in March 2012 issued a decision maintaining the status quo with the exception that home schooling would be revisited one year prior to each child’s entry into high school. In making its decision the trial court not only found that a change in circumstances had not occurred, but also relied upon N.J.S.A 2C:29(b)(11) of the Prevention of Domestic Violence Act, which refers to the Act’s presumption that custody would be awarded to the domestic violence victim. The husband appealed. The Appellate Division vacated the trial court’s decision, finding that the court “misapprehended the roles of both the changed circumstances requirement and the presumption.” The Appellate Division noted that it was improper for the trial court to use the change of circumstances standard as a basis for its decision. The Appellate Division pointed out that the “change of circumstance” standard stated in Lepis v. Lepis, 83 N.J. 139 (1908) “serves to determine whether a trial should be held, [but] not to determine the result of that trial”. Baures v. Lewis, 167 N.J. 91, 115. 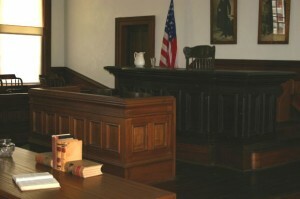 The court also noted that this was a custody trial in a divorce litigation and not a domestic violence trial. Therefore, the Appellate Division found that the trial court erroneously relied upon N.J.S.A. 2C:25-29(b)(11) of the Prevention of Domestic Violence Act and its presumptions as to custody. The court pointed out that under the state’s custody statute, N.J.S.A. 9:2-4, among the factors that courts are obligated to consider is the history of domestic violence, if any, as well as the safety of the child and the safety of either parent from physical abuse by the other parent. Here a final restraining order was obtained approximately four years prior to the court’s ruling on custody in the matrimonial case. The Appellate Division found that the trial court’s errors were not harmless and that the errors were clearly capable of producing an unjust result. Therefore, the Appellate Division reversed the trial court’s custody decision and remanded the matter back to the trial court for the trial court to consider all of the factors of N.J.S.A. 9:2-4. The Appellate Division further reinforced the fact sensitive nature and deliberative process the courts must undertake when adjudicating issues involving custody and parenting time. When faced with issues involving allegations of domestic violence and custody disputes, it is paramount that one has experienced representation. The lawyers at James P. Yudes, A Professional Corporation are here to assist you.